Haley Osborn is a doctoral student of the Spanish Program in the Modern Foreign Language and Literature Department at the University of Tennessee, as well as Editor in Chief of the department's graduate student e-journal, "Vernacular: New Connections in Language, Literature, & Culture". She holds a Master's degree from Loyola University in Chicago and a Bachelor's degree from Hanover College. 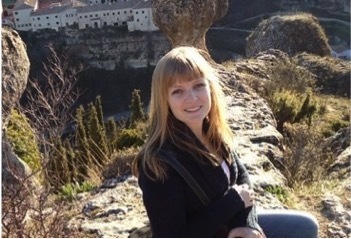 Haley is also an instructor of undergraduate Spanish courses and a Research Assistant. Her area of study is Caribbean discourses in literary and cinematographic representations.